FAMILY OWNED AND OPERATED SINCE 1946. SERVING OUR NEIGHBORS FOR THREE GENERATIONS. 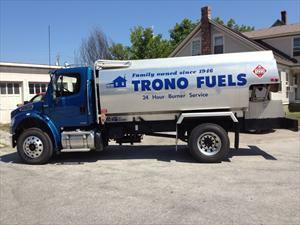 With almost 70 years of experience Trono Fuels is Chittenden Counties longest running fuel company. We have the knowledge and know-how that ONLY comes with experience to take care of all of your heating needs. Call us today in our Burlington and Barre offices and let us show you...OUR EXPERIENCE COUNTS!